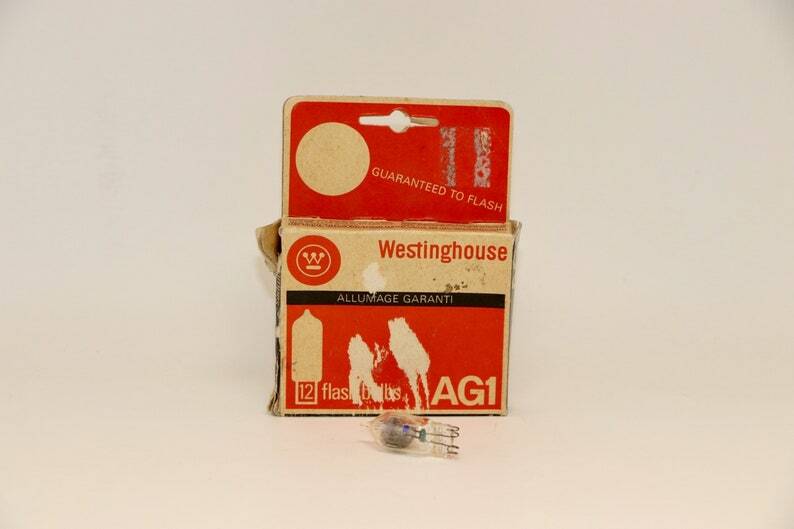 Here is a box of 12 unused Westinghouse AG1 flash bulbs. Vintage film camera supplies. These are for a 2” polished reflector at 1/30th or slower “X” or “F” synchronization. For diffusing or folding fan reflectors open 1/2 f/stop. Please see image with table to see the time of film that is compatible. These bulbs were made in Canada, the box shows ware and the bulbs are in new like condition.